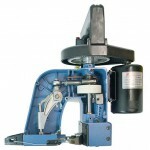 Fischbein are the inventors of this type of portable bag closers / bag stitchers. All other Portable Bag Closers / Bag Stitchers are inspired from this one. 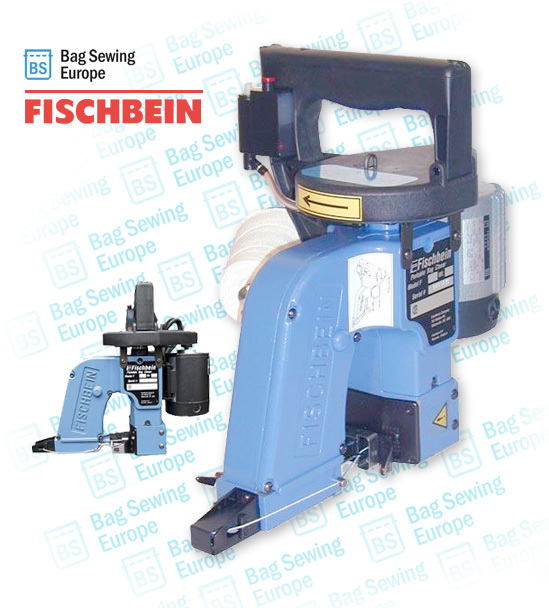 Today Fischbein is the Premium Brand in Bag Closer / Bag Stitchers Sewing Machines. The Standard portable F-Series industrial bag closer / bag stitcher delivers the quality, durability and productivity you expect from Fischbein Bag Closers. Weighing just a few kilo’s, this lightweight portable bag closer / bag stitcher quickly and securely closes filled multi-wall paper, jute, cotton, woven and laminated woven polypropylene pp bags with seamless efficiency. Either in the field or installed on the go. Advanced design and features make the Fischbein F-Series the most reliable portable bag closer / bag stitcher on the market. It comes standard with an improved lubrication system and extended wear bushings. because it requires minimum maintenance and fewer adjustments, you’ll find that down time is reduced and your costs are lower. For maximum sewing performance use Fischbein sewing thread and genuine Fischbein parts.